The Indian market is growing with many popular energy drinks. 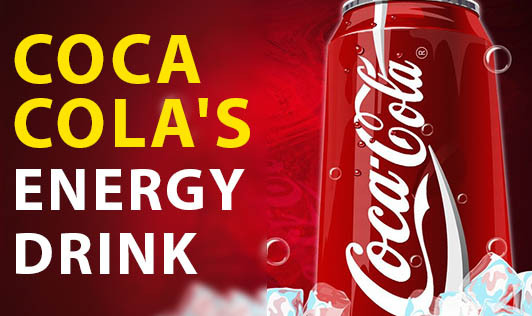 The branded company Coca Cola has launched the new energy drink called Burn, a rival to energy drinks like Red bull and Gatorade. The energy drink Burn has come out with the tag line- "Chill it. Shake it. Drink it like you stole it." This not only appeals the young population but the adults and old alike. The so-called energy drinks are in fact similar to the soft drinks, which their makers claim to provide energy and enhance the physical activity of the drinker. This is true because it is concocted with sugar, caffeine. These compounds are present in all energy drinks but why Burn? It is because Burn is fortified with few vitamins and anti oxidants to target the majority age groups and these victims fall prey to it. The ingredients in burn are Caffeine, Guarana (a Brazilian natural caffeine source to give extra boost), taurine, Red Ginseng, glucuronolactone (a natural metabolite), Arginine, vitamin B complex (B2, B6 and B12), antioxidant vitamins A, C and E, maltodextrin, and sodium. It is also said to have high sugar concentration that is said to give extra boost to the sports persons. The above ingredients list might become a trendsetter to the active groups and to consume it better to other energy drinks. Gyms, bars and clubs across the country are dishing out these drinks to their clients, claiming major health benefits. So would you also want to pick one and give a try? Fine, but you should also be aware of its disadvantages and the Coco Cola company has to do this if they want to push this product to the right audience. The Burn Energy Drinks contain quite more caffeine and other stimulants which may give some people the jitters and give the drinker a stimulant effect that is over and above what is derived from caffeine alone. People looking for weight loss will end up gain weight after the burn intake regularly as it contains high sugar. Burn, priced at Rs. 75/- for 250ml can with a citrus flavor, is not made to rehydrate and replenish the body. It is said to result in dehydration on an intensive workout. As per the Health experts' tagline- Learn to choose your products wisely and burn this energy drink with your right choice!